Albanians are already in love with bikes. Now more people are using bikes, not only for daily work, but also for weekends, riding around Tirana city and surroundings. During communist time, bicycle was the most common vehicle to drive in big cities, such as Tirana, Shkodra , because the cars were a rare thing. After communism everybody who dreamed a car, rushed to buy one. For two decades the roads were in bad conditions, very tight and full of cars, so it was impossible to ride a bike. But now something is changing. Roads are improving and extra lines for bicycles are added to the road. Eager to avoid traffic, today many people are buying bikes again. Some nonprofit environment organizations have organized several activities in Tirana, and are promoting every day this ecologic way of moving in the city. They are calling for car-free day and full-bicycle life. 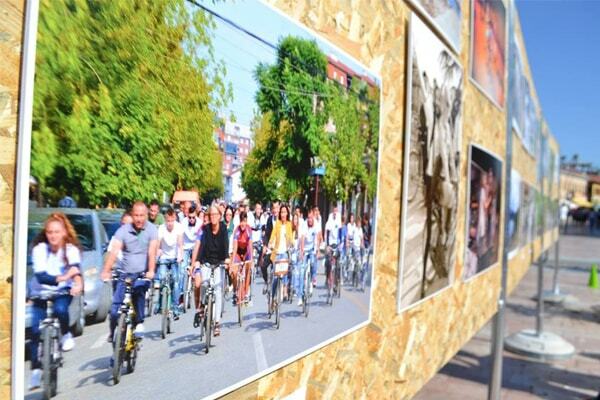 With the Support of Municipality were organized several times the Car Free day in Tirana. Every 22 September, when the Car- Free day is celebrated worldwide, many Albanians fans of bikes, are leaving their cars home, choosing to ride. 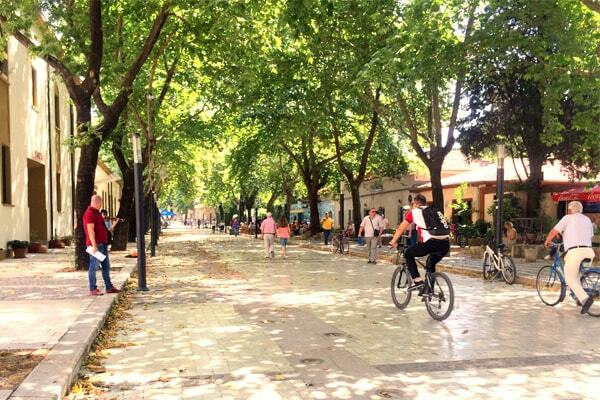 According the some statistics, these recent years the number of people using bikes in Tirana is raised. 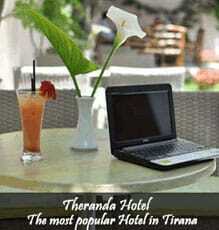 This is very good news because this contribute directly to a more clean environment in the biggest city of Albania. Also the Municipality has worked to add more Bike Lines in the streets of Tirana, helping people to find their space to ride. There are a lot of stops to rent a bike, especially close to the Tirana Lake. 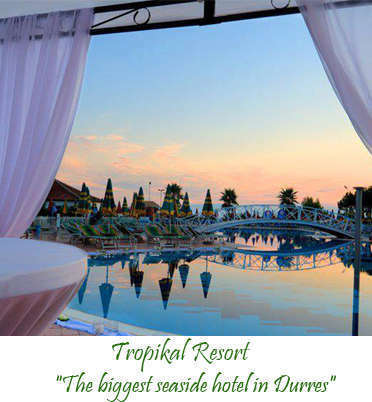 Activities will take place in 3 main areas: Through the "Kont Urani" road, the segment from the "Durrës" road to the "Mihal Duri" road will be developed a mini-fair with environmental books and not only. Meanwhile, the "Luigj Gurakuqi" road to the Avni Rustemi square will serve as the area of promoting ecological transport vehicles. While some roads in the former Block area will be returned to service areas for people. Activities started on September 18th at the TEN Multifunctional Center, where the Municipality of Tirana in cooperation with REC Albania, hosted the thematic meeting "Ecological Transport in Tirana". On September 19 new films will be presented on "Sustainable transport and the environment in general", where representatives of NGOs, representatives of civil society, diplomatic corps and other citizens will be present. 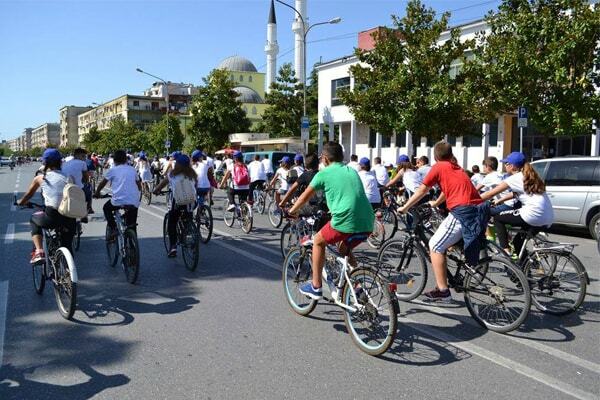 On September 20th, along the Boulevard "Dëshmorët e Kombit" will be organized bicycle racing with the students of the 9-year schools of Tirana, where the winners will be given symbolic awards. During the 21st of September, Tirana's high school youth will visit the National Environmental Agency's laboratory for monitoring environmental parameters. The last day of "European Mobility Week" on September 22, will be organized "Day without cars" in Tirana, where all citizens are pleased to leave their car at home and join the event.